This March 29, 2018 file photo shows the Facebook logo on screens at the Nasdaq MarketSite in New York's Times Square. 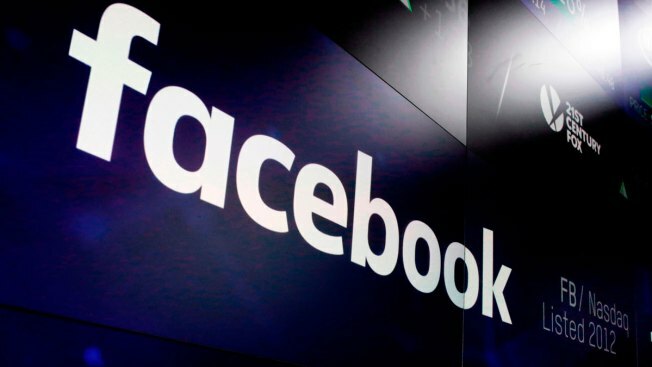 Facebook said Thursday it had taken down hundreds of U.S. news pages that the company said had coordinated to push people to pages filled with ads and spam, NBC News reported. The removal is an escalation of the company’s battle against fake or sensationalist news stories, after criticism from some lawmakers and users that it has not been doing enough to stop disinformation ahead of the Nov. 6 midterm elections.